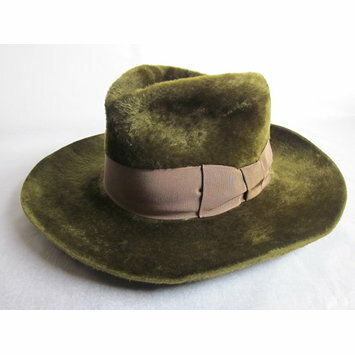 Men's plush broad brimmed hat of dark olive green, with a two inch hat band of brown ribbed silk, with a bow on the left side. It has a high rounded crown and a three and a half inch broad brim. When worn the crown was pushed in, and the front dented to form a peak. The lining is in two parts, the crown and sides. The sides are of cream acrylic material cut on the cross and gathered at the crown onto a piece of white acrylic which bears the royal coat of arms and that of the designer, printed in gold and brown. 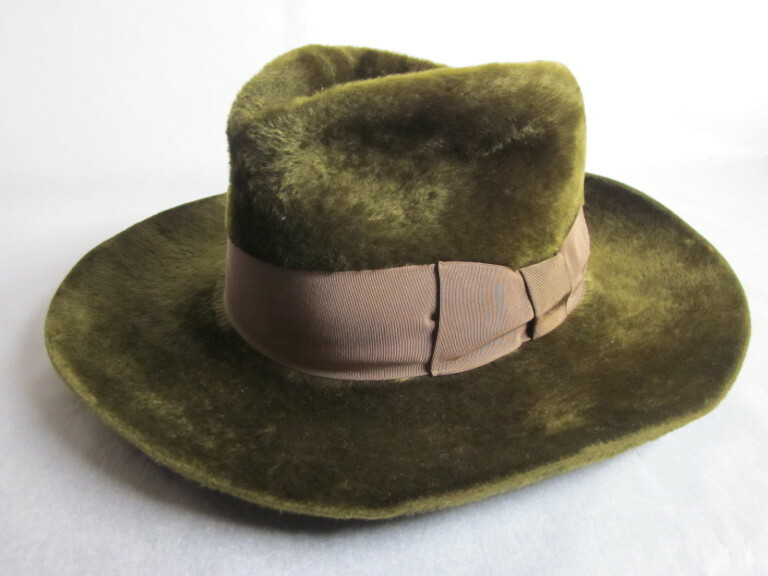 The inner hat band is of brown leather. Men's plush broad brimmed hat, England, ca. 1970.